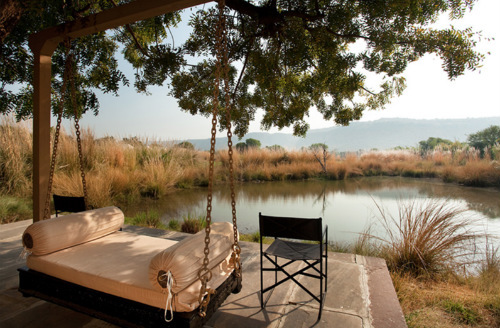 If those untouched jungles from Jungle Book promos stole your heart, a trip to one of the many safari lodges in India is a must. 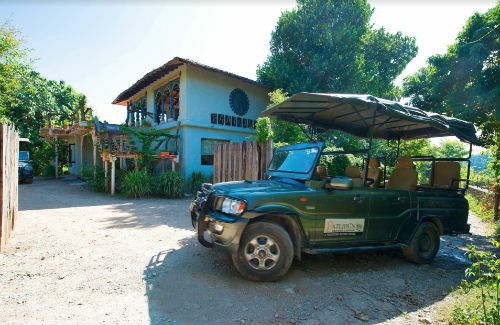 Hidden in lush green jungles, these luxurious havens spoil you with their rustic beauty and opulent interiors, without ever taking you away from the wild. Watch animals visit the nearby watering hole and learn how the wildlife interacts with its surroundings. Wait for predators to stalk their prey and see all the action unfold right in front of your eyes. 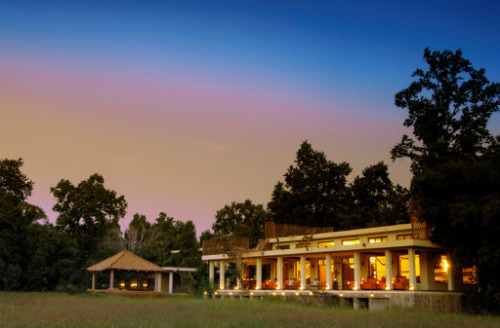 Singinawa, a family-run lodge in the Kanha National Park is one of the premier eco-luxury properties in the country. The park also hosts Kipling Camp and Chitwan, two of the best places to get closer to the tigers and birds of Madhya Pradesh. 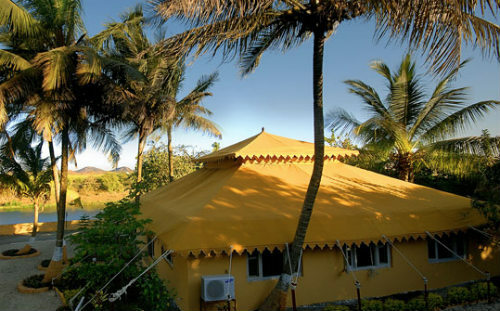 Tully Tiger Corridor Pench is set on 22 acres of land and is a true paradise for nature lovers. 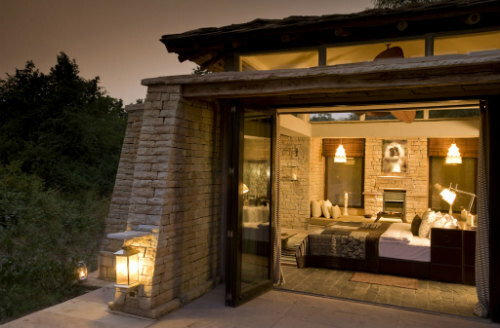 Aman I Khas and Oberoi Vanyavilas, located in the Ranthambore National Park, redefine the meaning of luxurious jungle lodges with their authentic interiors, outstanding service, and picture-perfect settings. Another exciting experience can be found in the state of Assam. The Kaziranga National Park hosts the Diphlu River Lodge, the ideal place to see one-horned rhinos and enjoy refreshing boat adventures. 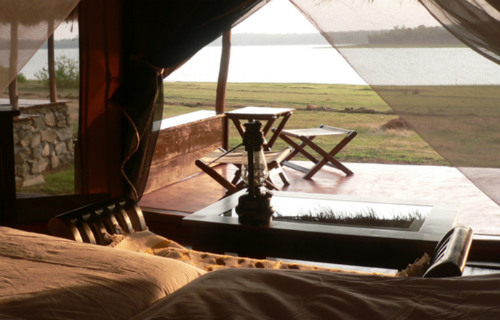 Whoever said you need to travel all the way to Africa for the ultimate safari experience! Nestled among the picturesque Vindhya Hills & the natural beauty of the wilds, Bandhav Vilas is the luxury jungle resort on the edge of the Bandhavgarh Tiger Reserve. The perfect base from which to explore the territory of the majestic tiger. 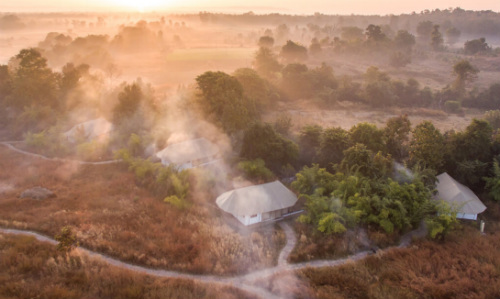 Committed to eco-tourism, the Samode Safari Lodge uses natural materials and elements of regional art and architecture, with eco-friendly landscaping and water management systems. It has been designed and built with the lightest possible environmental footprint. The aim was to create luxury in the most sustainable manner. The five exclusive Tree houses are spread in a dense jungle of 21 acres merging into the jungles of finest tiger reserves of the world. It is not uncommon to spot animals from the privacy of one’s balconies which overlook the tiger reserve and the Bandhavgarh Fort. Designed in a fetching fusion of traditional jungle living and contemporary design, the tree houses are self-contained and perfect getaway for a couple that is fanatical about privacy. 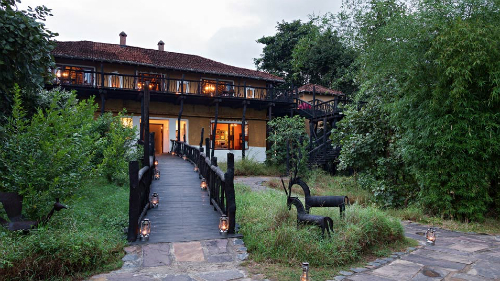 The Serai is located in Kaniyanapura Village, close to the Bandipur National Park. 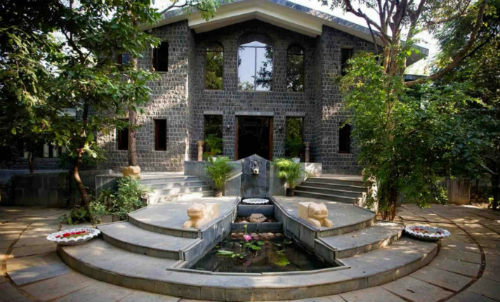 Built amidst a large open space overlooking the Nilgiris Mountain. It houses a spa, gym and an outdoor pool. Guests staying at the hotel can enjoy a panoramic view of the magnificent Nilgiris. 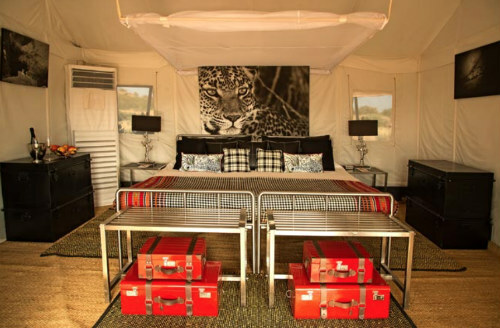 At the heart of an untrammelled wilderness, where leopards roam wild and free, is Sujan’s Jawai Leopard Camp. Designed by the owners, Anjali and Jaisal Singh, Jawai represents a style that combines subtle opulence with abundant adventure. 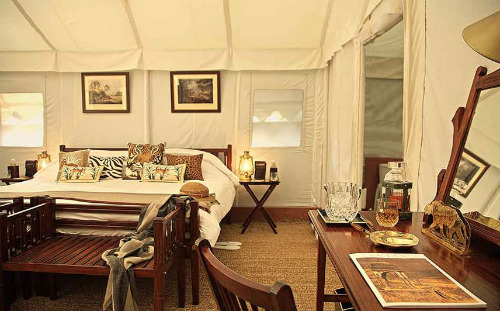 Staying true to our goals for conservation without compromising comfort, the camp has ‘9 luxurious tents including one royal suite’, each with oodles of space and privacy that rest encapsulated in a landscape of towering granite formations, caves, kopjes, Anogeissus scrub and winding sand riverbeds. 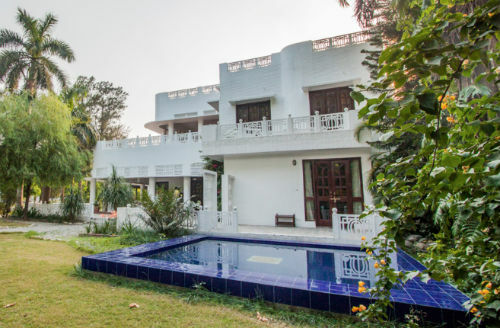 A mere hours drive from the Taj Mahal, in the heart of the Chambal Valley, lies an oasis of tranquility nestling in sprawling acres of reclaimed woodland. A warm and welcoming haven for the eager explorer and weary traveller alike. The Accommodation combines the warmth of local homes with the comfort of modern amenities. 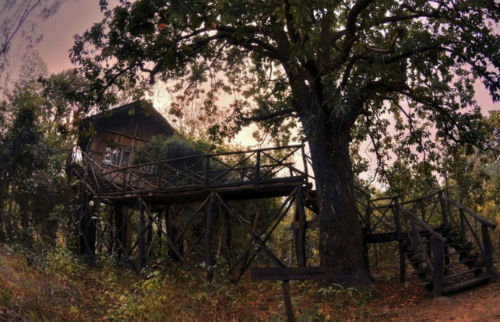 Jim’s Jungle Retreat is an eco-conscious wildlife speciality lodge located on the southern periphery of India’s showcase wildlife park Corbett Tiger Reserve. 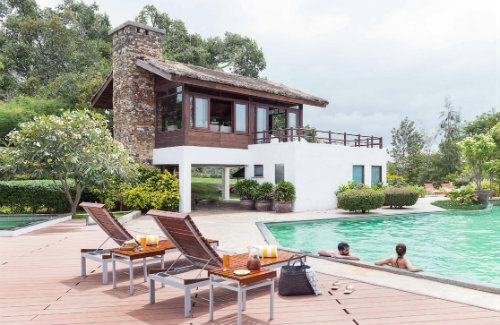 At this forest’s edge, Jim’s Jungle Retreat offers 18 sophisticated lodges and cottages in 15 acres of lush refuge, with forest and mountain vistas, countless bird-spotting opportunities, instinct-sharpening walks and safaris, and hours by the pool or on your private verandah. Paatlidun (pat-LEE-doon) meaning a narrow valley. The original name of the geographical area now identified as Jim Corbett National Park in Uttarakhand, India. 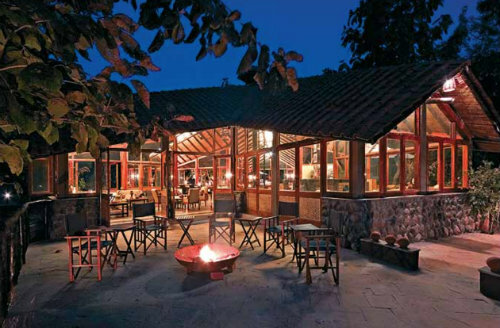 Far above the racket of Ramnagar, hidden high in the Shivaliks, is this narrow valley- a slice of Paradise- revived in its original name, by Paatlidun Safari Lodge. 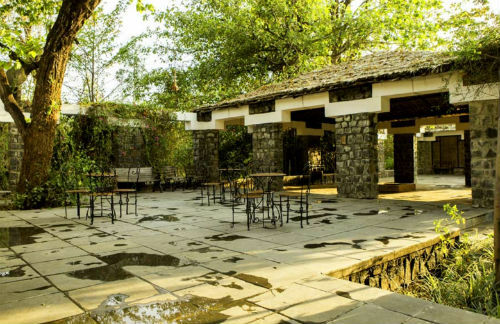 All buildings are built in the traditional Kumaoni style- stone masonry and mud plaster on the walls, and the trademark black slate roof- and locally sourced, indigenous materials have been used for construction. Imagine hundreds of acres of sugarcane fields all around with dashes of bright yellow mustard patches in between. 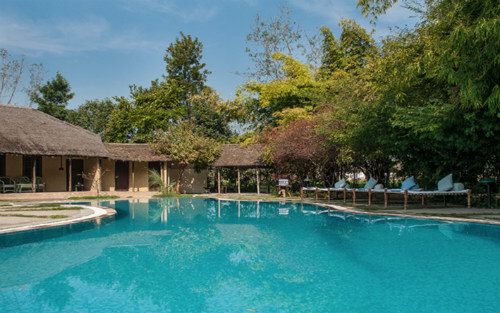 Dudhwa Wildlife Resort is a private home built in the 1940s in the middle of this plantation which was also used by the British Governors as a hunting lodge. Private and luxurious accommodation with a caring team to attend your every need. 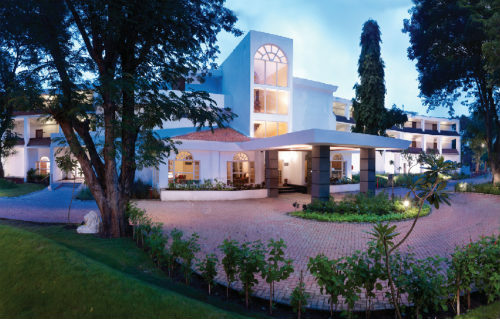 The Gateway Hotel Gir Forest is one of the best business hotels in the area, located just opposite the Hiran River at the fringe of the dense Gir Forest. 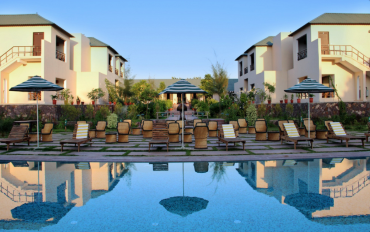 Whether you’re on a honeymoon, family vacation or a business trip, the surrounding Gir Forest lends an atmosphere of calm and serenity to your days. Spacious rooms equipped with modern amenities and dedicated staff on stand-by ensure your stay with us is truly comfortable. 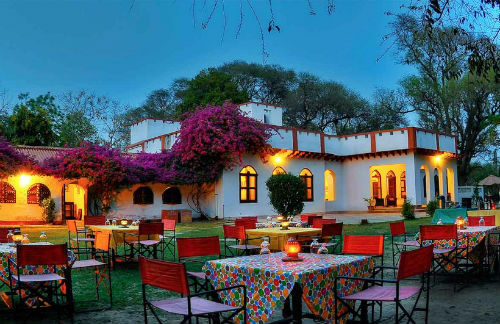 Encompassed by the lush green forests and edged with soothing sight of natural water lake, Ranthambhore Kothi offers a never to be forgotten experience, with an exciting chance to glimpse the very rare tigers and other species in the complete wild.